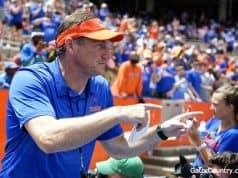 It’s been less than a month since the Alabama Crimson Tide embarrassed the Florida Gators in Gainesville. The 18-point loss was part of the toughest stretch of the season, but Florida got the last laugh on Tuesday night. The Tide had no answers as the Gators came to their home court and handed them a 73-52 loss. The first half could’ve been a story all on its own based on sheer bizarreness. Alabama got off to a 6-0 lead while Florida didn’t score its first points until nearly three minutes in. Jalen Hudson made his presence known early on as he scored eight straight points, including back-to-back three-pointers, to get his team out of a hole and into a 12-7 lead. Meanwhile, the Crimson Tide did not make any of their 19 field goal attempts over a span of more than 14 minutes. Possibly even more surprising, the Gators only stretched their lead to 12 points during that time and led by just five with eight minutes remaining in the half. Nine made free throw attempts by Alabama in the first half eased the pain of the horrible offensive showing, but not enough to keep Florida from taking a 37-18 lead to the locker room. The Tide finished with just four made field goals in the first 20 minutes of play. And they did. While the Gators played well defensively, the Crimson Tide were flat out missing every opportunity they had. Alabama never came closer than within 17 points, and even benched its starters for much of the second half. 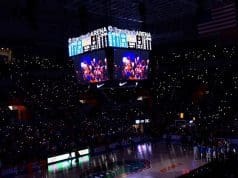 Florida led by as many as 28 before ultimately coming away with an easy 21-point victory for its second consecutive win. The Tide on the other hand suffered their fourth straight loss. Hudson was the best player on the floor Tuesday as he put on one of his best performances of the season. 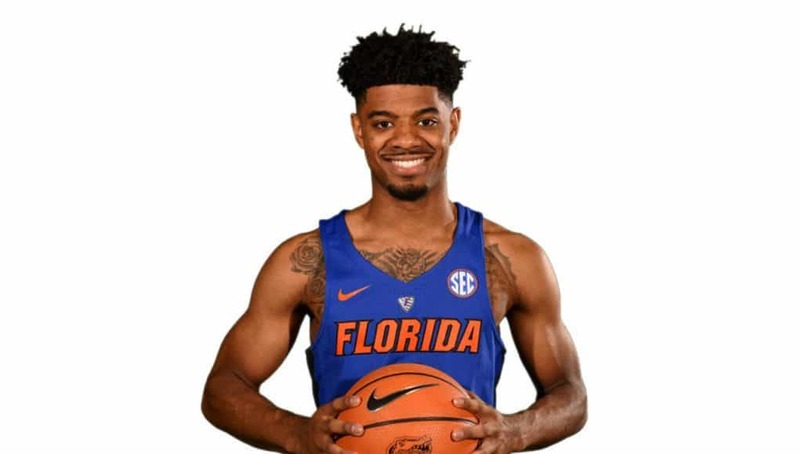 He hit some big ones for the Gators early, and then just showed off the rest of the way, including a monster dunk in the second half to add salt to Alabama’s wound. He dropped 27, going 9-for-13 from the field and 3-for-5 from beyond the arc. Behind Hudson, Egor Koulechov finished with 15 points and KeVaughn Allen put up 13. The Gators didn’t do a great job rebounding, as the Tide had a 46-31 advantage on the boards. It did not matter though, because Alabama’s inability to convert on offense dissolved any advantage it had. Despite grabbing 20 offensive rebounds, the Tide had just 11 second chance points. Chris Chiozza led the Gators in that department with nine rebounds on the night. He also dished four assists to tie Erving Walker for Florida’s career assists record at 547. Whether it was out of design or not, he could not tack one more on in the second half to become the sole leader. That should make for a special moment as he will likely be able to do it in his final game in the O’Dome on Saturday’s Senior Day against Kentucky. 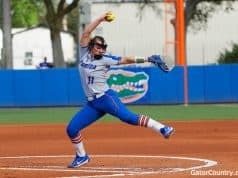 The Gators took the task of closing out the regular season on a high note head on, and it is paying off. With impressive performances the last two games, Florida should have its spot in the NCAA Tournament locked in. This team seems to finally have its mind right and is showing some consistency that will be huge in the coming weeks.